This is a Punch and Judy weight driven wall clock. 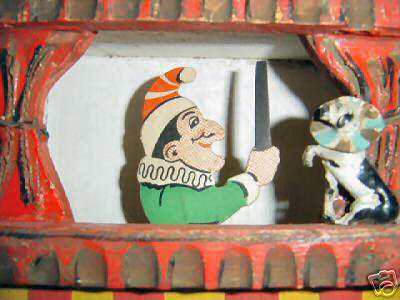 When the clock ticks Mr Punch moves backwards and forwards and hits the dog on the head with his stick! Made in 1960 by Paico in Great Britain.